The Kauffman Foundation has teamed up with AARP to launch a new initiative that will hone the entrepreneurial skills of people over 50 years old. We’ve seen our share of these golden entrepreneurs, who have either retired or left the corporate world to start a new business venture. 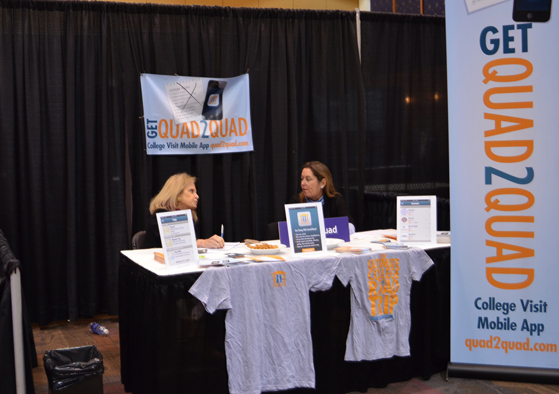 Two such entrepreneurs are 54 year old Elizabeth Van Sant and 68 year old Susan Jones, launched at Washington DC startup called Quad2Quad that serves as a platform providing much needed information to parents, families and students visiting colleges. When we interviewed Jones last September, she proudly said that she was old enough to be Mark Zuckerberg’s mom. Although some may consider them too old to roll with today’s startup hipster, they’ve been touring the conference scene across the country with appearances in San Francisco at Appnation and at everywhereelse.co in Memphis. Now, the Kauffman Foundation has announced a new program targeted to baby boomer entrepreneurs 50 and over. Three pilot courses of FastTrac NewVenture™ for the Boomer Entrepreneur will be offered in 2013 by Kauffman FastTrac affiliates. Up to 20 qualified applicants will be accepted per course, and AARP scholarship funds will cover $500 of each participant’s course fees. The three Kauffman FastTrac affiliates selected to participate in the baby boomer pilot are ProperoHCA, New York City; Tech Coast Venture Network, Irvine, Calif.; and the Miami Innovation Center for Entrepreneurship, Inc., Miami. ProperoHCA has scheduled its weekly course for April 3-June 5. Tech Coast Venture Network plans to offer its Boomer course this summer. The Miami course, which will be taught in Spanish in an outreach to the region’s large Hispanic population, is also slated for a summer start. Content specific to baby boomers was recently added to the Kauffman FastTrac curriculum in recognition of changing U.S. demographics and research that finds a higher rate of entrepreneurial activity among Americans aged 55 to 64 than much younger age groups in recent years. The initial 10-week baby boomer class was held in fall 2012 in Kansas City. Don’t Launch At SXSW, Accelerate!